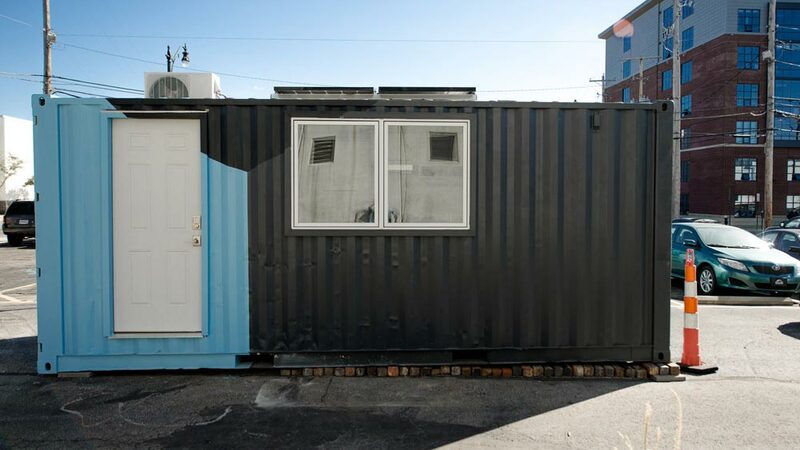 For his senior thesis project at the Columbus College of Art and Design, industrial design student Tobias Katz designed and built this tiny house out of a 20-foot shipping container. 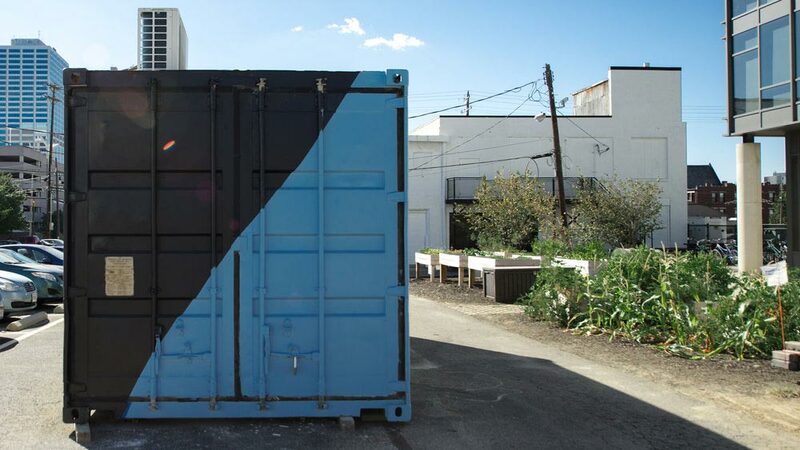 Tobias then founded Katz Box, LLC, a design-build company that produces tiny living spaces in up-cycled shipping containers. 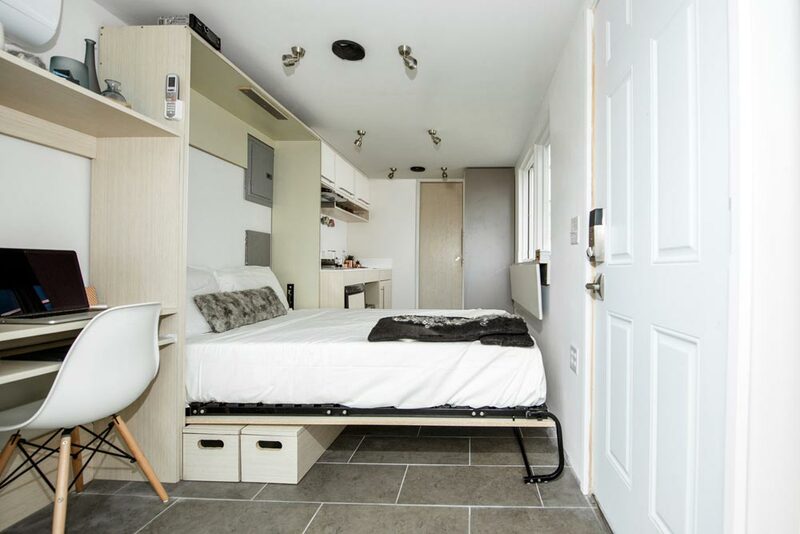 Named the Calico, the shipping container tiny house includes a hydraulic full-sized murphy bed and custom cabinetry. 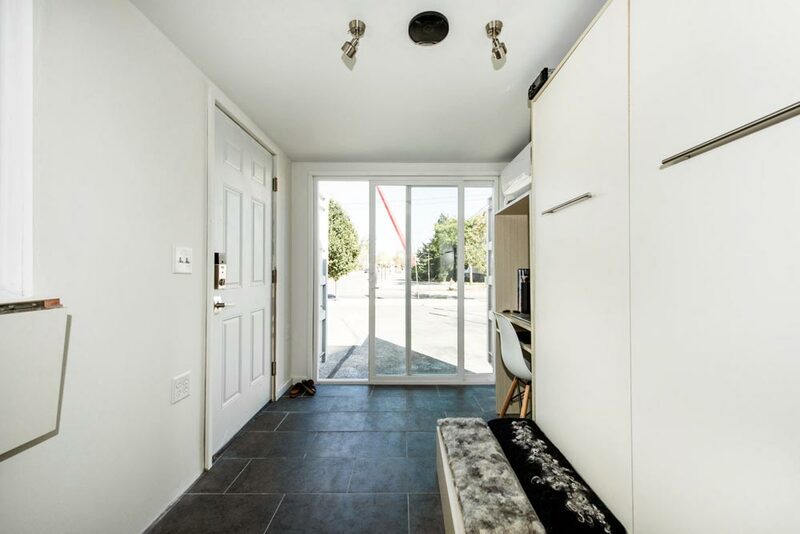 The home also has a built-in desk and drop leaf breakfast bar. 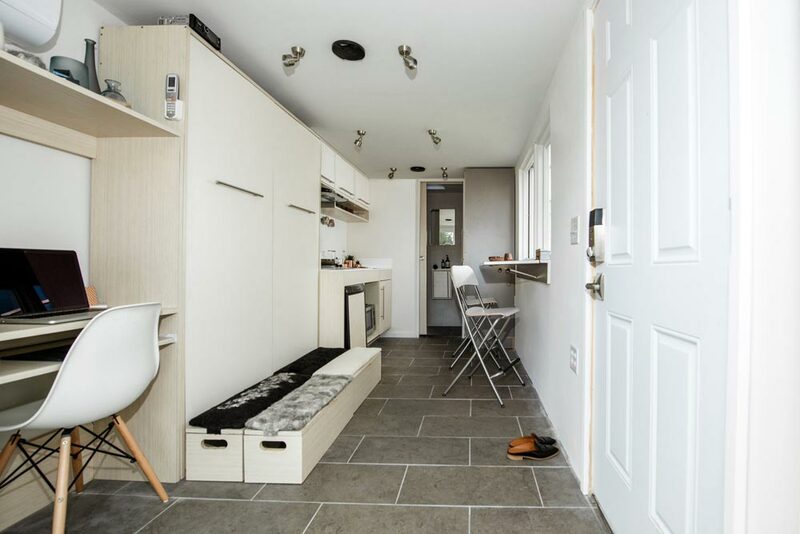 The Calico comes equipped with a mini-split heat pump, tankless hot water heater, convection microwave oven, two burner electric stove, and under counter refrigerator. 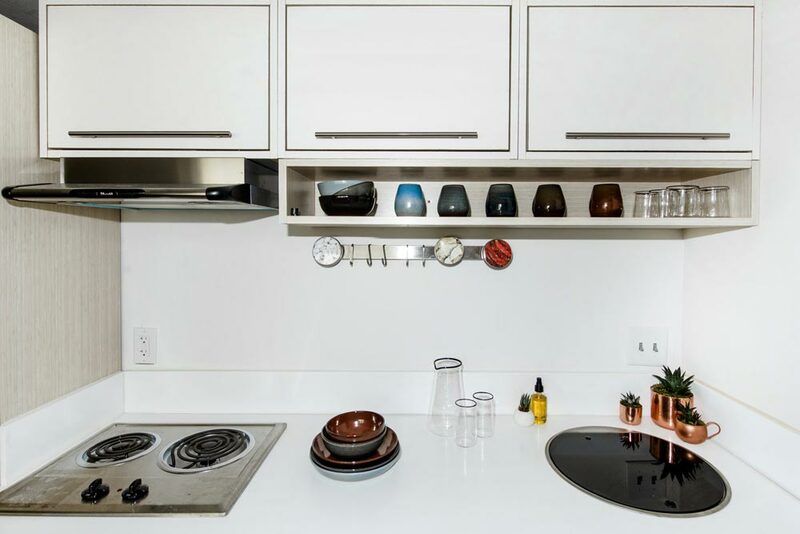 The home is also wired for surround sound. 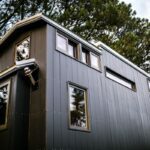 On the roof are two 195-watt solar panels and two Enphase M215 microinverters. 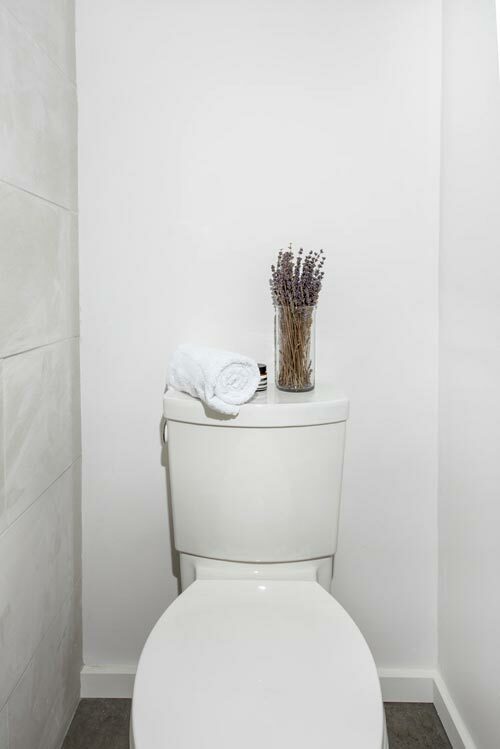 There is a standard flush toilet, but that can be converted if you wish to go off-grid. 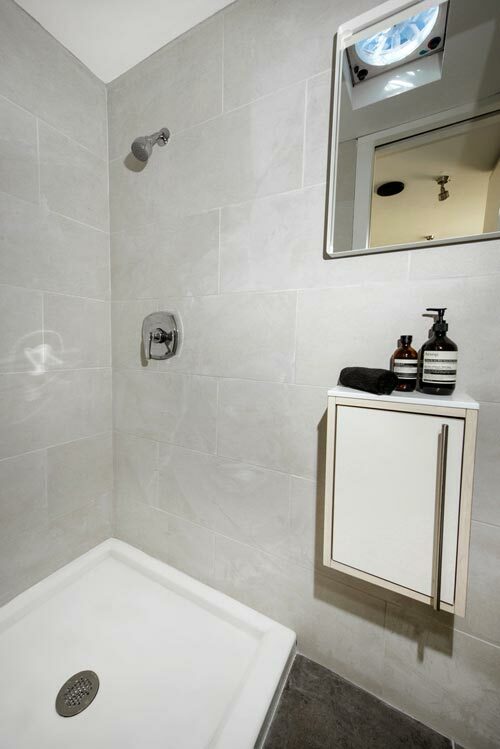 Also in the bathroom is a 3’x3′ shower with solid acrylic pan and tile walls. 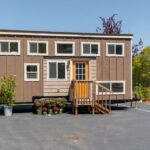 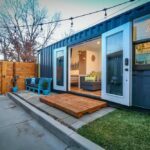 Designed for all seasons, the shipping container home is insulated with three inches of closed cell spray foam on all walls, floor, and ceiling (R-20). 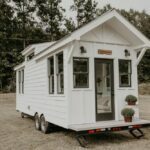 The Calico is priced at $40,000.00. 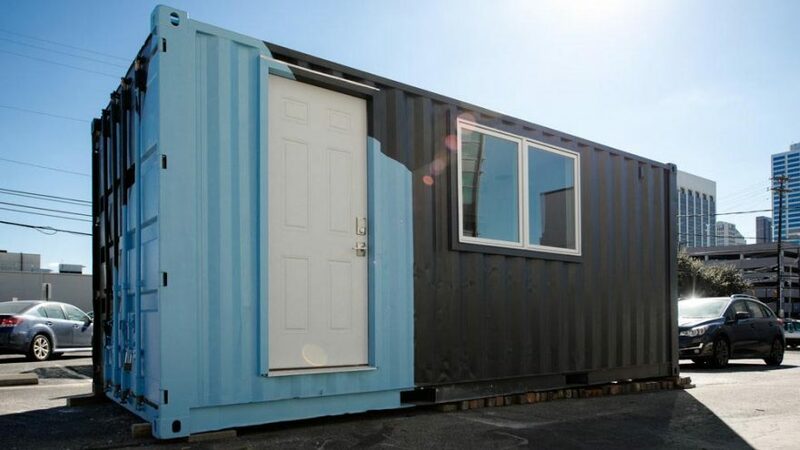 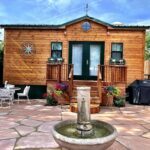 For more information about the container home, please visit Katz Box. 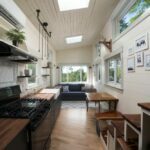 Legacy by Wood & Heart Building Co.